Discover how good life can be at Harbor Place Apartment Homes. Our one, two, and three bedroom floor plans offer the thoughtful features you’re looking for in a spacious and airy layout. Laundry day is a breeze with your full-size in-home washer and dryer. Whip up a delicious meal in your fully equipped kitchen, complete with dishwasher. Then relax with your favorite beverage on your private balcony or patio. As a resident of Harbor Place Apartment Homes, you’ll enjoy access to community amenities like our resort-style swimming pool, a state-of-the-art fitness center, and a resident business center. Work up a sweat in our dedicated aerobics/cardio room, or soak up some rays on the sundeck. Our pet-friendly community includes an onsite dog park where your four-legged friend can stretch her legs. No matter how you like to spend your free time, our community in Fort Washington, Maryland, can help you unwind in style. 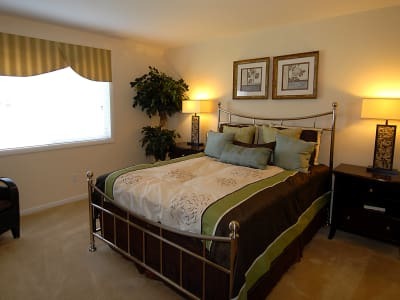 We’d love to show you around our Fort Washington, Maryland, apartments for rent. Schedule a personalized tour of our community today. Contact us soon to learn more about apartments in Fort Washington. We can’t wait to welcome you to the community!